Today I realised I am officially a grown up. Not because I’m married, or have a baby, a mortgage or bills…pah…today I am officially a grown up because I’ve fallen in love…….with a garden centre. But this isn’t any ordinary garden centre, in fact I get the impression that ‘garden centre’ might be a dirty word here. This is the most enchanting, beautiful and calming place ever. 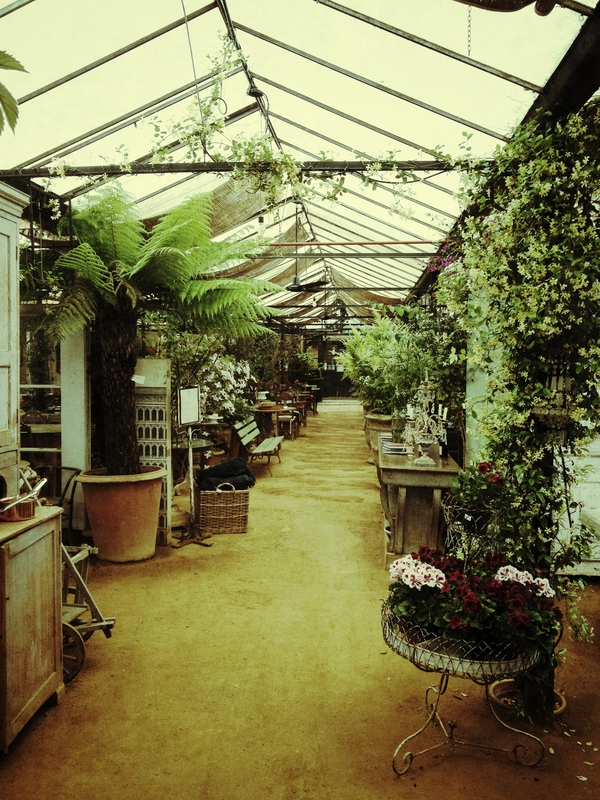 This is Petersham Nurseries, an an oasis of folliage, tea, cake and style, tucked away in leafy Surrey. It’s like the Secret garden crossed with what I think Miss Havershams garden would have looked like in its prime. But why so special? Well for starters it’s not your usual chain centre, filled with 2 for £20 deals on potted plants or shelves and shelves of patio cleaner, aided by spotty teenagers who will no doubt have to go and ask their manager when you ask them a question. 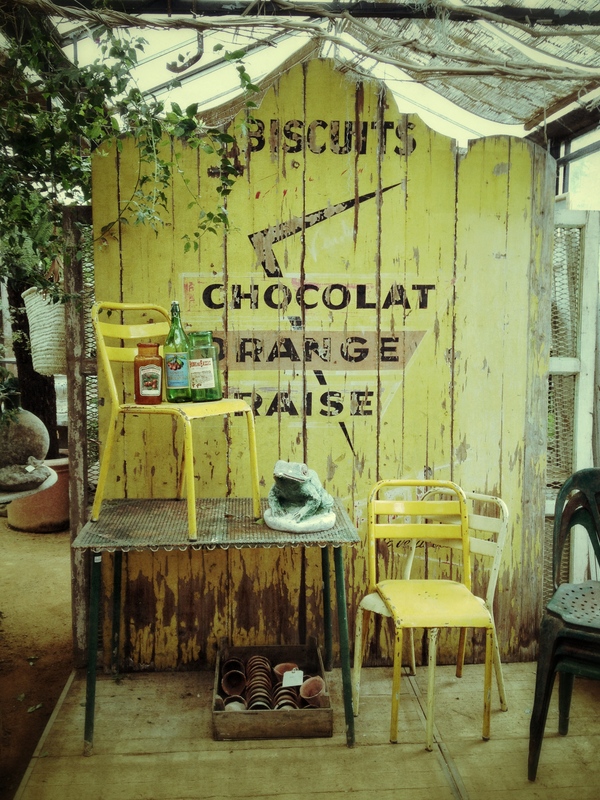 You can’t go wrong with old wooden crates! Creative way to hide the tub. 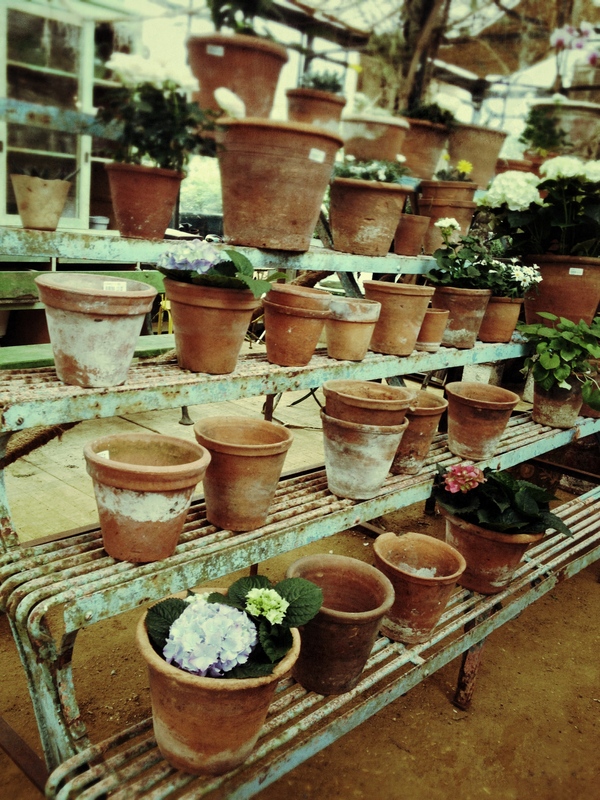 But it’s not just about the plants, the tea room, restaurant and shop are all wonderful. But you do need a pretty healthy bank account for the homewear. 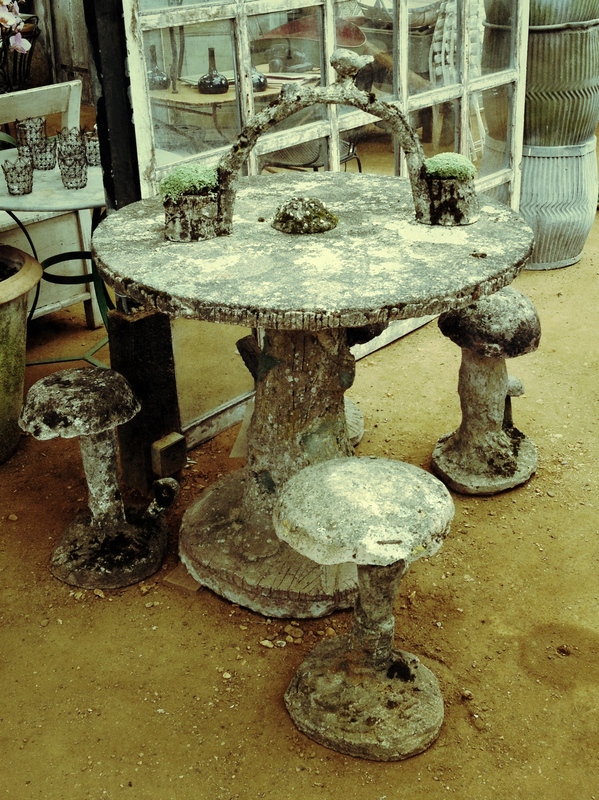 Many of the tables are four figures (one table set on a tree trunk base is priced at £7,400!!!) and I reached out just in time to stop my daughter knocking over a glass water tumbler priced at £55. But the fact is, everything in there is just beautiful and I wanted just about everything. 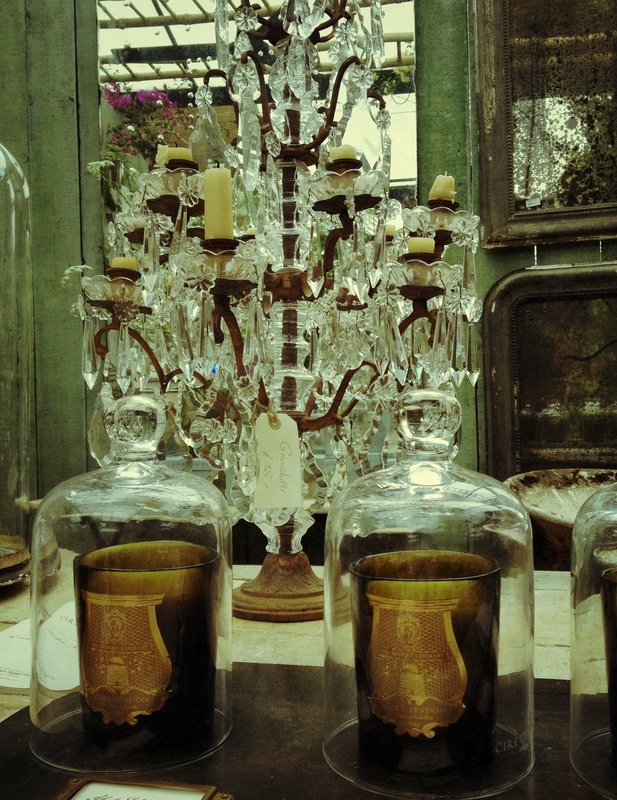 Chandeliers, candles, rusty old vintage chairs, I wanted the lot! I need this backdrop in my garden! 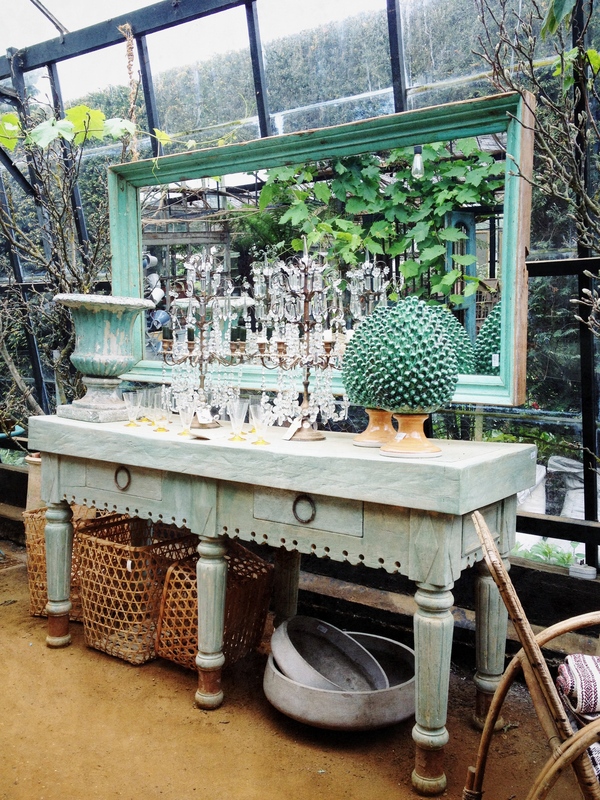 Perfect for an etherial garden. You can book into the restaurant for lunch between 12 and 2.45, the menu is seasonally inspired using naturally produced ingredients which includes edible flowers and herbs from the Petersham House walled garden. They are also members of the Slow Food Supporters Scheme, ”helping to promote a better way to eat”. The restaurant itself really does feel like a very special place and I highly recommend you give it a try. But if you just fancy stopping in for something sweet, then get yourself to the Tea room, hell run to the tea room because the cakes are out of this world. I had the best Carrot and Walnut cake I’ve ever had anywhere! 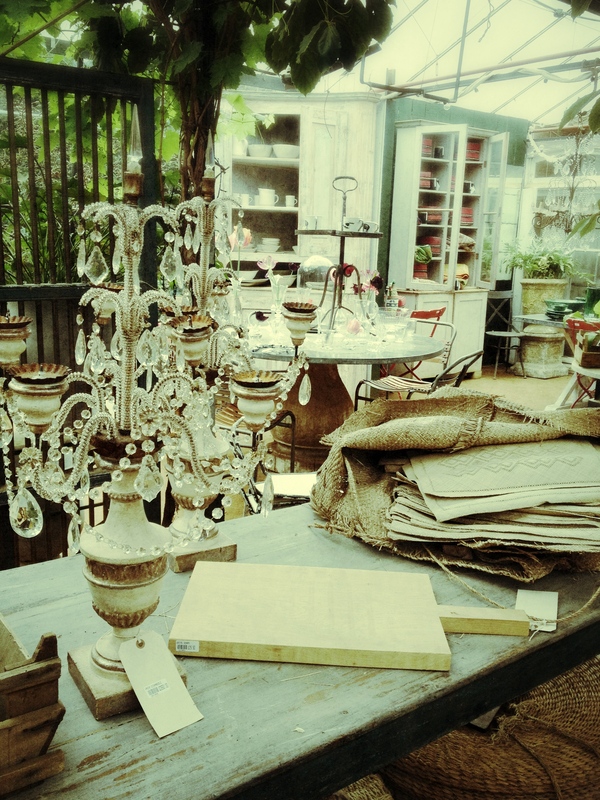 So if you are in the Richmond area, or even if you are from out of town, make a point of visiting Petersham Nurseries. In a world of chains that dominate our towns we really must grab hold of places like this with both hands and hold on for dear life, support your local independants!